Fun and life adventures with Gabriel (age 8) and Garrett (age 6), All-American boys from California! 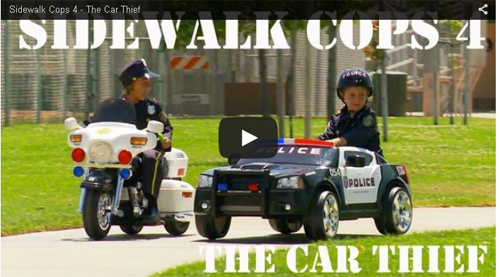 We provide family friendly content that includes Sidewalk Cops, toy reviews, Power Wheels racing, superhero videos, amusement parks, and overall fun activities for young kids! Many of their videos are simply table-top demonstrations. Father Brian shoots and edits the videos while Mom Lauri is the art director. Brian says the ads on those views bring in about two dollars per thousand views which amounts to $2000 a day or $730,000 a year. Brian’s work before the Gabe & Garrett Channel was as a wilderness photographer. Brian says the Gabe & Garrett Show is really more about family than the money. The kids are loving the toys they can try. This success is not unique. An ad sales person for Google says “we have hundreds of thousands of content creators who make over 6 figures.” Google gets a 45% cut of the ad income from six figure YouTube stars and all other YouTubers. Views and income estimates are from socialblade.com. Another young YouTuber who is raking it in is EvanTubeHD. Estimates are that he is making at least 6, maybe seven figures. He’s seven years old. Evan also reviews toys and video games. His father shoots and edits the videos, then uploads to YouTube. While the family could live from Evan’s income, his father owns a full-time photography and video-production business. According to a Newsweek interview with Evan’s father, all of the proceeds from the channel, go into investment and savings accounts for their children. The family has a dedicated ad-sales team. This family and numerous other six figure YouTube creators have signed with Maker Studios, an advertising network and production company that specializes in native YouTube talent. Maker Studios also produces videos for numerous YouTube channels. Their most successful channel is Sweden’s Felix Kjellberg, better known as PewDiePie on YouTube. His personal channel is also the most subscribed on YouTube. Maker Studios describes their company as “talent-first, technology driven media company and the #1 producer and distributor of online content reaching millennials in the U.S.” It’s a $100 million-a-year business. One of the co-founders of Maker is Danny Zappin, a former failed actor. His simple goal was for Maker Studios to become the United Artists of the digital era. In March of 2014 Maker Studios was purchased by Disney for $500 million. TheRadBrad, real name Bradley Colburn, is another top earner on YouTube with 756 million total views. He is a star in the gaming world for “walkthroughs” of video games in which he explains how to play and beat a game. His walkthroughs are detailed and funny. When he can’t beat a level in a game, he sometimes “loses it” and goes crazy which can include breaking chairs. 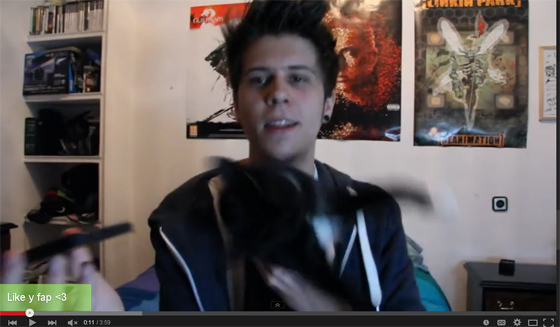 ElRubiusOMG real name Ruben Doblas Gurdensen is a Spanish speaking video-game commentator and comedian. He lives with another famous YouTuber, MangelRogel, who encouraged him to start posting YouTube videos. Other You Tube content creators include Josh Chomik who launched his YouTube channel in 2007. More commonly known as “thecomputernerd01” he has more than 1.3 million subscribers and more than 330 million video views. He makes parody music about performers such as Miley Cyrus and Taylor Swift. Many of his parody videos are sponsored by Coca-Cola. Japanese sisters Kanna and Akira play with a number of toys and self-made candy while their parents make the videos. They have 265,000 total subscribers and 403 million total views. Jordan Maron is a video-game commentator whose videos have had 1 billion views. His “Let’s Play” videos are the most popular but he also makes parody music videos of Minecraft animations. He is signed to Maker Studios. YOGSCAST Lewis & Simon has quite a number of channels. They are British video game commentators and players who produce videos primarily of Minecraft and World of Warcraft. They have over 7 million total subscribers and 2.38 billion total views. As of June 2014, it is the most viewed and second-most subscribed YouTube channel in the UK. Like kid toy reviews, game play videos are certainly a successful niche in the world of six figure YouTube Channels. Mitch Donald Ralph Hughes goes by TheBajanCanadian is a Barbadian-Canadian video-game commentator, who specializes in Minecraft and Call of Duty videos. His videos have 556 million total views. Second only to PewDiePie in subscribers is a Chilean YouTuber named German Garmendia who makes comedy videos for the Spanish audience. His YouTube Channel is HolaSoyGerman/HolaSoyGerman2 with over 1 billion total views. TheFineBros had a very clever idea – film people reacting to YouTube videos. One is called “Elders React To Pewdiepie. It shows people over 50, many of whom knew nothing about video games or the people who play them. This video has had over 10 million views. The FineBros have over 1.41 billion total views. “Teens React To Tyler Oakley.” Shows sponsors include both Ford and Comedy Central. This channel was one of the first YouTube stars. Smosh is the comedy team of Ian Hecox and Anthony Padilla who are well-known for slapstick comedy. Many of their videos parody video games and pop culture in general. There is talk of putting their comedy content on TV. This is an unnamed Brazilian woman with a very tranquil voice. She demonstrates Disney toys, but only her hands are seen on screen. This unknown woman is said to be making more than most CEOs! It’s estimated that she makes between $505,000-$5.06 million a year after YouTube’s 45% cut. Parents use her videos to entertain and calm their children. Her voice is soothing. The rumor is that another toy channel called BluCollection is hosted by her husband. True or not, they get a lot of views. Based on the ads and the views, it’s a good bet they are multi-millionaires. Kids love them. During the week July 4, 2014 the DisneyCollectorBR channel received more views in the U.S., 55 million views according to OpenSlate. Estimates are that Toby makes up to two million dollars a year from his YouTube channels. He is one of the most popular Internet comedians with 15 million subscribers across his three YouTube channels. He first joined in 2006, when he produced a popular parody of the Adam Sandler movie “Click.” He has since created the popular series CuteWinFail, like the TV show “America’s Funniest Home Videos.” He is now accepting roles in independent films and major advertising campaigns. Last July, Turner was signed by Maker Studios. He had been with gaming video company Machinima.